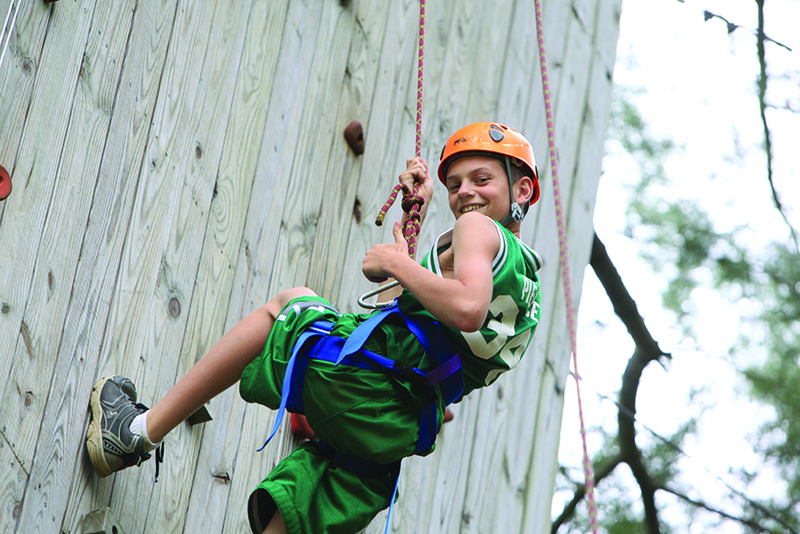 An interview with Bill Lerman, Director of Camp Caribou, a Maine Camp Experience Camp. How did summer camping begin in Maine? I’ve always been interested in how it all got started in Maine. That’s what I’ve researched a fair bit about it. In the early 1900s, Teddy Roosevelt was concerned that the male population was becoming too civilized and too soft. He thought it was important for boys to get out of their comfort zone. New York private schools started wanting boys to be physically as well as mentally fit. The US was also in the midst of the polio epidemic during these years and getting out of the city and into the country was the best way for kids to remain healthy. Maine was (and is) an ideal place to for kids to go during the summer. There is/was fresh air, woods; a great place for kids to be outside. Many of these camps were rustic: tents, outhouses, etc. Kids would learn physical and mental toughness. They’d go on canoe trips, learn a camp craft, sports. Sports were also a great way for children newly immigrated to the US to feel apart of American culture. Though camping began at the turn of the last century, a lot of camps started in the 1940s and in the 1950s there was a camping “boom” in Maine. Can you tell me about what the history of Maine camps was like in the 2nd half of the 20th century? I didn’t get into camping until 1968, but I know that in the 1950s a lot of our Maine Camp Experience member camps started. Camp Cedar, Camp Matoaka, Camp Manitou, to name a few. Back in those days, many of the people starting camps were guidance counselors, athletic directors, and a lot of athletes themselves. When we got our camp in 1968, we had about 90 kids. My father had a business background but hated business, he had always wanted to buy a camp. Back in those days, if a summer camp sold it was developed. Today camps that sell don’t sell for land anymore. They sell as summer camps. I think that’s a tremendous pendulum swing in the history of camps. We have 33 camp members of the Maine Camp Experience and 29 of the 33 are privately owned summer camps. Is this comparable to the entire camp industry in Maine? There are actually quite a few non-profit camps in Maine. A lot of church camps, foundation camps, and non-profit camps surfaced in the 1970s, which was a tough decade for private camps. Like many other industries summer camps were impacted by the recession in recent years. Have Maine camps rebounded? I think we’re stable, but not as up as we were in 2007 or 2008 (the years that followed were tough times for all overnight summer camps throughout the U.S.). There are some camps that are there, but a lot of them are still working hard to fill-up. No matter what you do in business, nothing comes easily. But I think, like many business owners, camp directors are working harder than they used to. They’re marketing a lot more, trying to advance in new ways, updating their camps to attract more campers. In response to the economy, some parents have chosen to send their kids to YMCAs, Jewish Federation camps, etc., because they’re cheaper. But that is a minority group in our enrollment. With most of our returning families, this has not been an issue. For them, camp is a priority and they realize the investment they are making in their children by continuing this tradition. So that just means that camps have to get more creative and work harder in appealing to new families. Once a family has spent a summer with a Maine camp, they understand the true value of this experience and are committed to making summer camp in Maine a priority for their children (as well as for them). The entire family looks forward to their annual Maine camp experience.